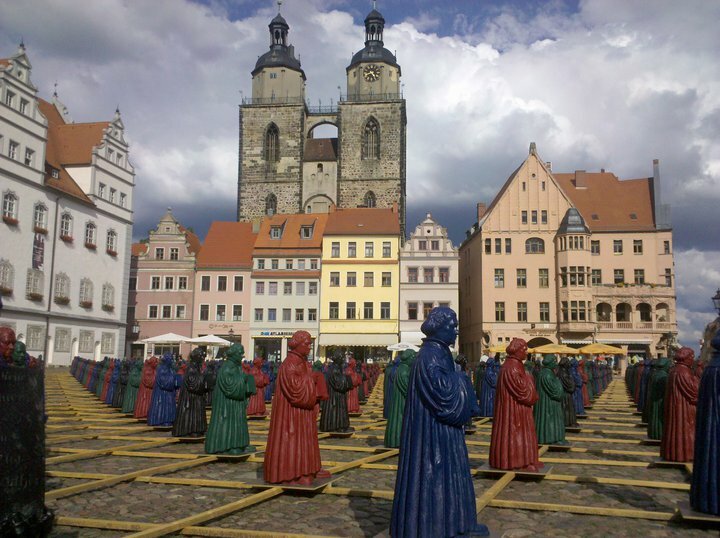 On All Hallow's Eve 1517, Martin Luther nailed 95 theses to the door of All Hallow's Church (aka Schlosskirche, or Castle Church) in Wittenberg, Germany, stating his points of disagreement with the Roman Catholic Church. 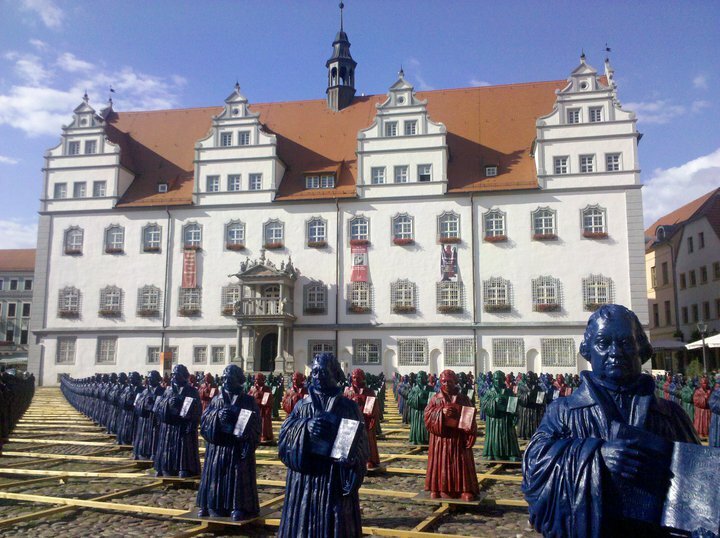 This event is recognized as the beginning of what came to be known as the Protestant Reformation. In 2002, when I was living in Germany, I heard about an unsual installation in Wittenberg by artist Ottmar Hörl, so I made the trip from Frankfurt to view (and take pictures of) it. 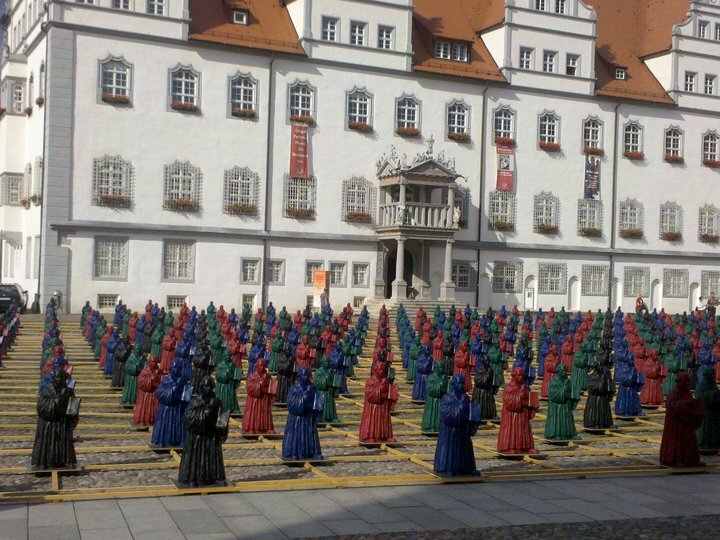 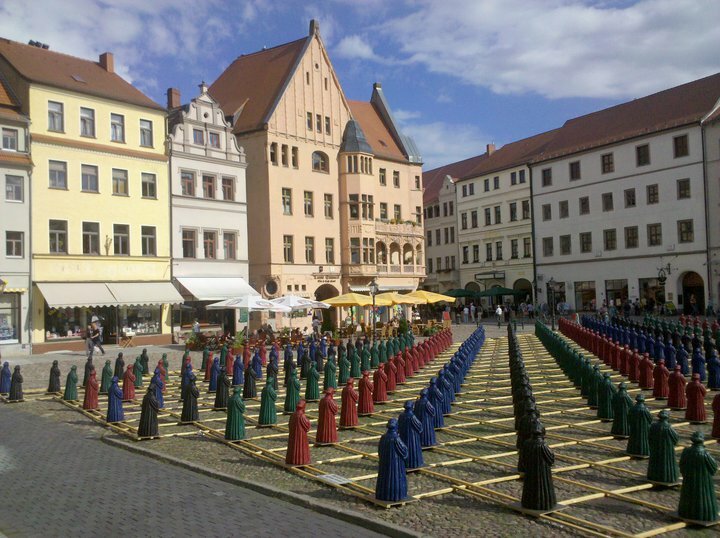 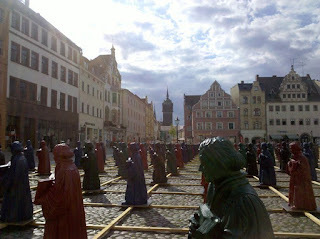 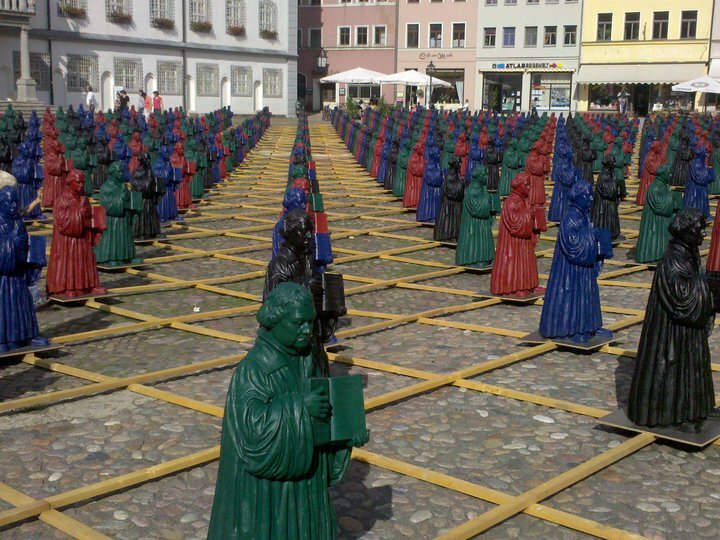 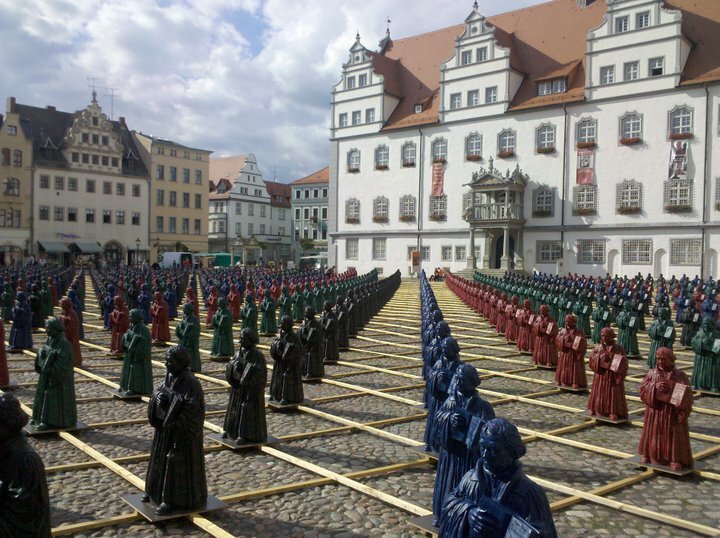 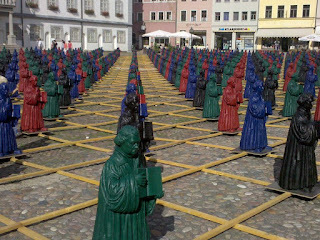 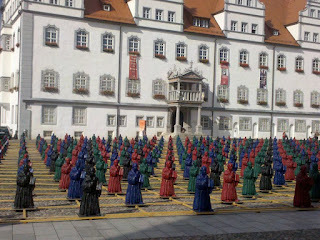 It consisted of hundreds of plastic statues of Martin Luther on the town square. 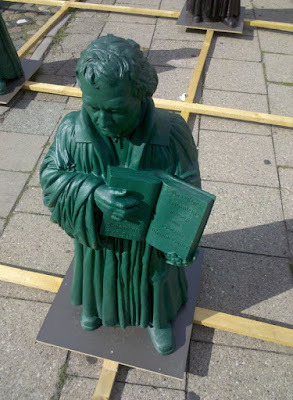 The statues were a good-humored replacement for a larger and more dignified statue of Luther, which had been removed temporarily for restoration. 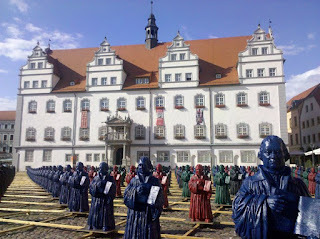 ...famous for not being the church where Luther nailed his theses. 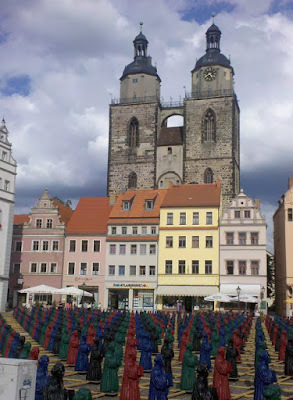 The spire in the center (background) of this one is the Schlosskirche.